HOW IT WORKS: All #1 OPM and International songs of 2016 were included and ranked according to the longest stay at the No. 1 spot. In case of a tie, the basis will be the number of weeks of the song on the chart. If there is another tie on the length of stay on the chart, ​the song which came first on the chart will be ranked first. The cut-off period for Weekly Top 20 is from the first charting week of January 2016 until the week of December 18-23, 2015. Watch the music videos of our Top 20 songs below! 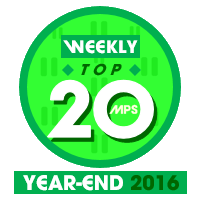 See what fans has to say about the Weekly Top 20 MPS Year-End 2016 results! Congratulations again to Sarah Geronimo for winning the Weekly Top 20 MPS Year-End 2016 best song for "Tala". It stayed 19 weeks on the chart and spent 6 weeks on the No. 1 spot! 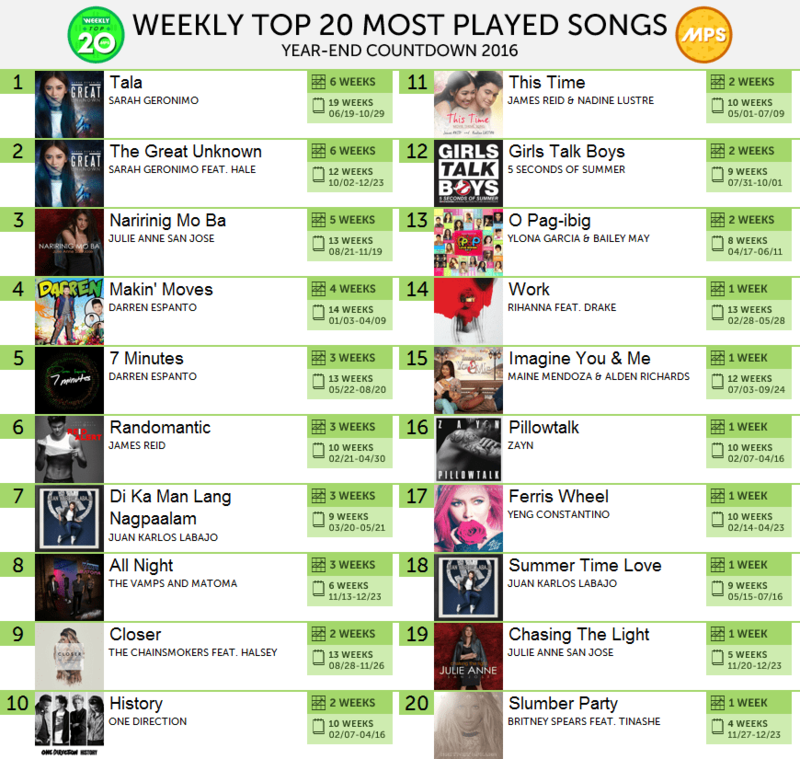 Aside from that, she also has another song on the chart which is "The Great Unknown" at the 2nd spot. A double celebration for Popsters out there! "All Night" by The Vamps was the highest foreign entry on the #WeeklyTop20YearEnd2016 while Darren Espanto, Julie Anne San Jose and JK Labajo had double entries this year. Congratulations to all who made it at the Weekly Top 20 Year-End 2016! Thank you for making 2016 a very good year in the music scene!